Fanfare for the Fourth - Musical Visions of America - Come to Beargrass Christian Church at 4100 Shelbyville Rd this July 2nd from 7:30pm to 9:00pm to experience the 11th annual multimedia choral cinema presentation of the founding, expansion, and refinement of America. $20 for general public, $15 for seniors and $5 for students. Kentucky Flea Market Fourth of July Spectacular - Come to one of the nation's finest flea markets with over 600 booths. This happens July 2-5. Go to www.stewartpromotions.com for more information. Lebowski Fest - The 14th annual Lebowski Fest happens July 10th and 11th. Visit Lebowski Fest for more information. Louisville Blues, Brews and BBQ Festival - Nothing's better than blues and bbq! 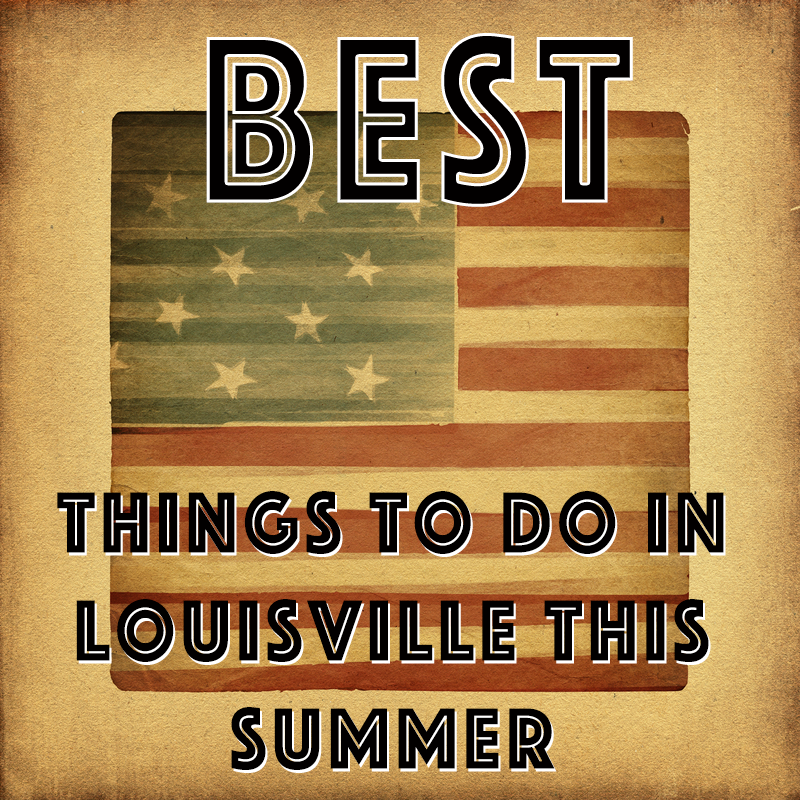 Experience it all July 10 through 12 at 3005 River Road, Louisville Water Tower in Louisville. Forecastle Festival - July 17 through 19, experience one of the country's most anticipated summer festivals since its founding in 2002. Call 502.568.4784 for more information. Waky Radio Dance Cruise - Come to the 4th Street Wharf to dance the night away on July 25th! Go here for more information. Fandomfest - August 7th through 9th experience Fandomfest. Fandomfest is a group of conventions here to provide low cost alternatives to the high priced autograph and photo op only shows. Call 502.568.4784 for more information.